Under the program, the Center forms a close relationship with one of the District of Columbia’s many embassies, both to help tailor the interactive learning program to the selected culture, and to provide students with a hands-on opportunity to interact with persons from that culture. Working together, the Center and the embassies can create an environment that allows for students to gain a greater cultural understanding than through either resource alone. For instance, as a result of 2007/2008 embassy adoption program with the Embassy of the Republic of Poland, the students in the program had the opportunity to travel to Poland to give a performance at the Presidential Palace in Warsaw at the special invitation of the First Lady of Poland, Mrs. Maria Kaczyńska. This program gave the students an opportunity to exchange ideas, not only amongst themselves and with instructors, but also with persons who are members of the culture that the students were studying at a given time, and provided for further cultural enrichment of the students by immersion in Polish culture through the duration of the trip. Each year, we will explore a different international culture. The Center will promote the culture and help the students learn through two interconnected programs – the Interactive Learning Method and the Embassy Adoption program. 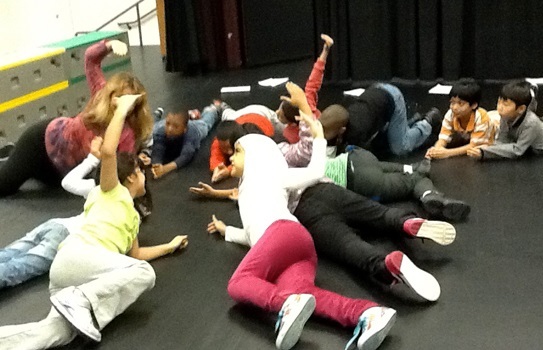 The scope of the interactive learning is not limited to theater and drama. 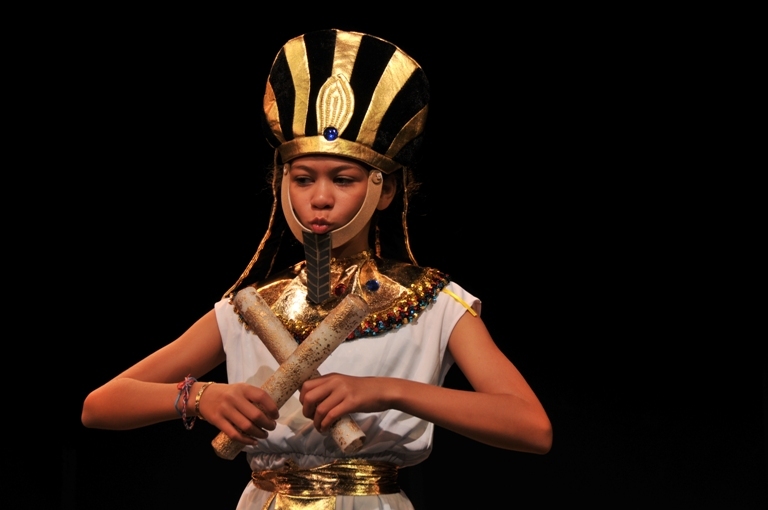 We will provide a special educational program of interactive learning that is specially designed to help teachers and students better comprehend cultural artistic compositions and find the joy in discovering new customs through art, music, dance, song, crafts, cooking, theater games, and performance. The Center is devoted to working with young students to increase their social skills, reading comprehension, movement, and speaking skills. In addition, we also incorporate more traditional teaching techniques, such as lectures, reading, and demonstrations. 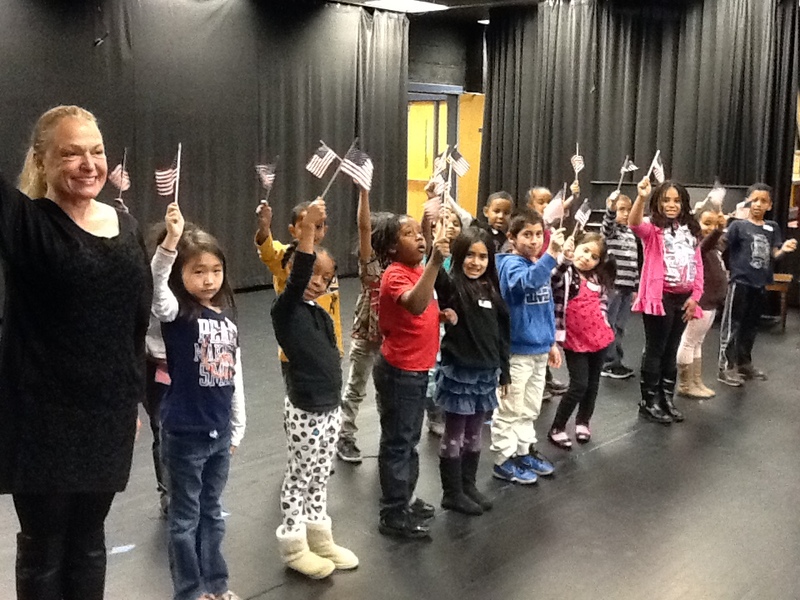 Ambassador Theater offers studio classes exploring international literature and drama through movement,voice and improvisation. 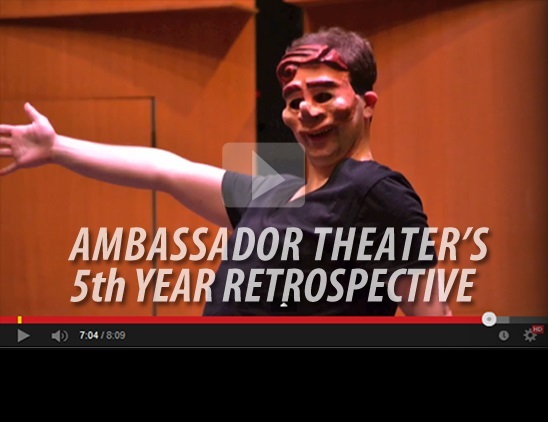 Through Ambassador Theater’s unique international cultural exchange, the students have the opportunities to experience Art and Drama in both enriching and innovative ways, sure to inspire both individual and collaborative growth in years beyond. Classes, taught by highly experienced professionals from all over the world, are available for three age groups: Globetrotters (4-6 years old), Voyagers (7-9 years old), and Explorers (10 and up). 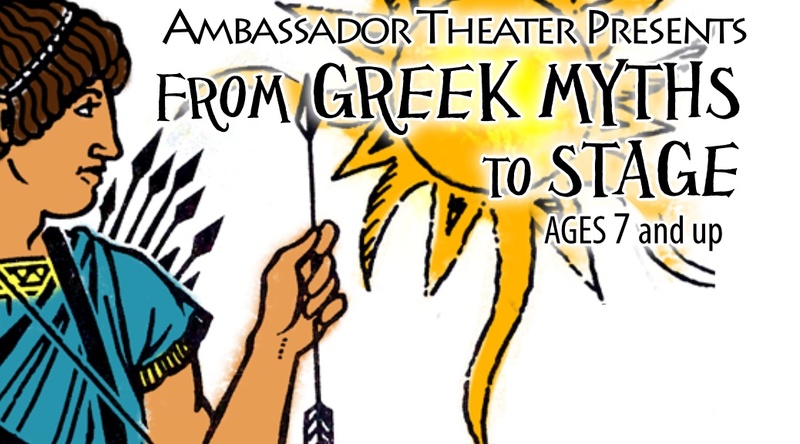 Ambassador Theater offers two different summer camps, both of which use international literature as a platform for artistic creation and performance. Both camps provide a well-rounded production experience from a multicultural standpoint, ending with a showcase. Through both individual work and teamwork the students will open their minds to endless possibilities. Professional instructors guide them through scene work, theater games, and activities in projection and movement. 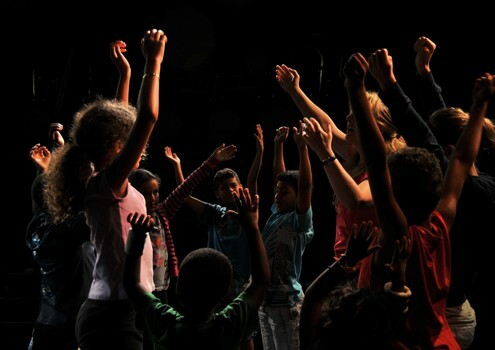 Children ages 4-13 will enjoy a two week camp at the George Washington Masonic Memorial Theater in Alexandria, Virginia, and teens ages 12 and up a will experience mounting a three week full scale production at the Source Theater, in Washington, DC. The District of Columbia is unique among American communities in its great concentration of embassies and international dignitaries. Despite only being a few miles away from these great resources, many students within and around the District of Columbia have little knowledge of the world outside their neighborhoods. Through the Ambassadors of International Culture program, we hope to make these resources more accessible to urban students and enrich the students through interaction with persons of different cultures. Each year, a limited number of internships are made available in the production, artistic and administrative departments. Internships are ideal for students who require a practical experience to complete their undergraduate or graduate studies. These non-paid internships are generally part-time, short-term engagements that span the rehearsal and run of a single production or an entire school semester. No housing is available to interns. If candidates are completing an internship for credit, the candidate must make all necessary arrangements with their school prior to joining the Ambassador Theater and International Cultural Center. It is preferred that candidates are in their junior and senior year of undergraduate studies regardless of age and that all potential interns be working towards degrees in Performing or Fine Arts (BA, BFA, MA, MFA, etc.) Following successful completion of the internship, interns will be provided with signed letters of recommendation from the Founding Artistic Director and the senior staff for the department that the intern worked. The company management intern assists in the daily operations of production administration. Major responsibilities of this hands-on internship include coordinating artist needs during rehearsals and productions, representing the general management office by being a point of contact between artists, production staff and the Executives of the organization, serving as a general point of contact for and providing upcoming Ambassador programming information to Embassies, Cultural Centers, community centers, other arts organizations, etc; and assisting with general administrative functions. Successful candidates will have some theatre experience with excellent organizational and people skills, and a flexible schedule. A special project related to artistic promotion will be part of this internship, for qualified and interested parties. The development intern works in all aspects of donor relations and fundraising. The internship focuses on research, cultivation, solicitation and stewardship of individual, corporate, government and foundation donors as well as assistance in planning and execution of special events such as Opening Nights, Meet the Cast events, and more. Interns work closely with the Managing Director and other key senior staff. Responsibilities include: writing, research, meeting planning, event assistance, development of a donor database and daily office tasks. Successful candidates will have excellent writing skills and strong verbal communication ability. Occasional evening and weekend work is required. 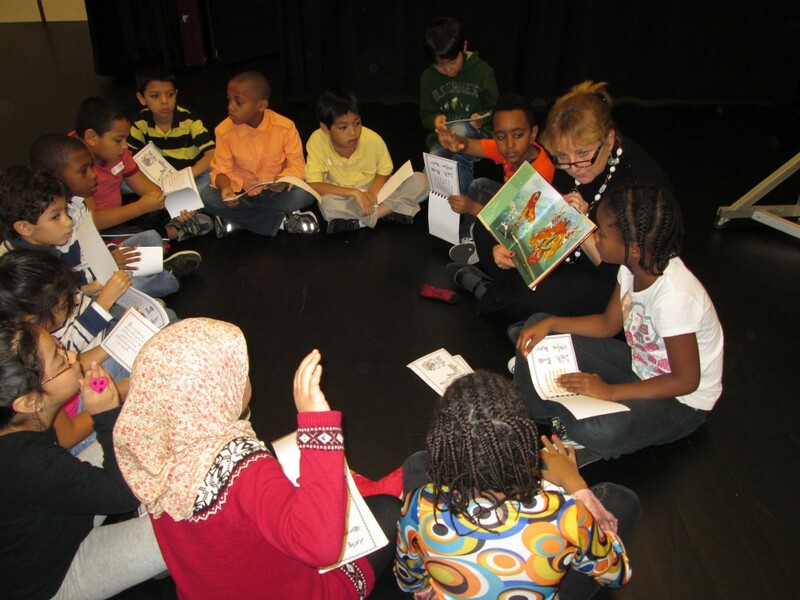 The education intern supports the implementation of school, community, training and audience enrichment programs. Duties include: scheduling and facilitating workshops, assisting both in-school and after-school classes and residencies, developing teacher and student curriculum guides, coordinating special events and assisting with the daily administrative needs of the Education Department. Successful candidates will have experience in both theatre and education. Occasional evening and weekend work is required. Theater management internships are ideal for persons interested in the overall workings of a theatre as management interacts with all departments including artistic, production, education, marketing, development and business. The management intern works on special projects in the areas of organizational management, strategic planning, human resources, accounting and Trustee administration. The Theatre Manager will work very closely with the Founding Artistic Director and key senior staff as needed. Duties include daily business functions, research/analysis, coordinating staff/Board committee meetings and special projects aligned with the candidate’s individual focus. The public relations/marketing intern (w/special interests in graphics and IT support) helps the daily operations of the Marketing division. The intern may assist in audience development, subscription and single ticket marketing, press, publications, research and special projects depending on the needs of the season. Special requirements include strong written and verbal communication skills as well as strong organizational skills. The graphic design/IT work supports the Associate Artistic Director in various ways, including carrying out full projects ranging from newspaper ads to brochures to full-size posters. Knowledge of various graphic design applications and software highly preferable; a portfolio and/or examples of work that demonstrate understanding of layout, typography, color and design are given stronger consideration. 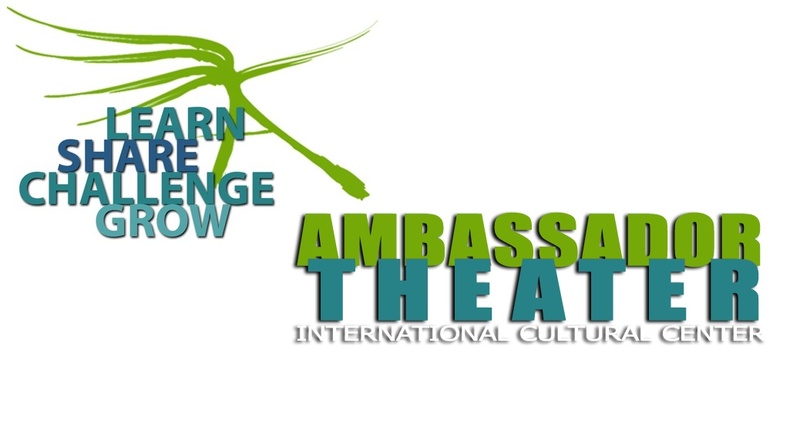 Ambassador Theater and International Cultural Center provides a unique opportunity for early career actors to perform in our full season of plays. Acting Fellows compose the non-Equity ensemble for most or all of our main stage plays, serve as understudies and receive training in various techniques and methods of acting. Acting fellows are selected from university programs in the area, in their junior and senior years of theatre study, completing BA or BFA degrees in performing/fine arts. The directing intern assists the creative teams of main stage productions over the course of the season, which may include serving as Assistant Director. Duties include aiding the director with all aspects of the rehearsal and production process including but not limited to research, text analysis, recording blocking, rehearsing understudies and maintaining a production once it has opened. As a member of the theatre’s resident artistic staff, the Directing Fellow facilitates communication between the theatre staff (Company Management Intern) and the production team and may also have administrative responsibilities related to the operation of the Artistic Department. Candidates should be working towards a BA or BFA degree in theatre, experience as an assistant director on professional productions, a working knowledge of a broad range of text and excellent interpersonal and organizational skills. Costume interns assist in costume construction, costume research, finding and borrowing pieces as needed and running of the company’s main stage productions and other projects. Interns work in several areas over the course of an internship. 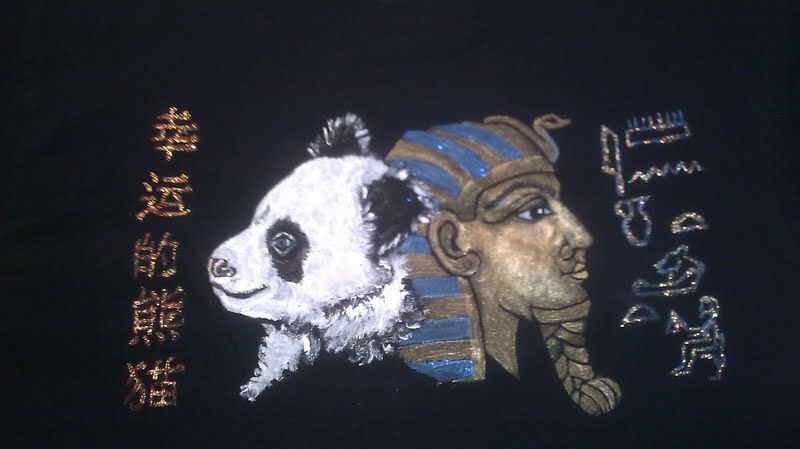 Costume work spans many eras and styles, so basic sewing skills are required; a portfolio or examples of work are desirable. It is preferable that the intern have a car and be willing to drive to find and collect items for productions, etc. or can collect items in a timely fashion utilizing Metro and whatever other modes of transport are available to he/she. Lighting interns assist the Lighting Staff with show preparation, hang, circuiting, focus, and equipment maintenance. The intern will work on Ambassador shows, outreach events, and booked-in rental productions in the DC Metro area. The ideal candidate will have experience trouble-shooting problems, programming light boards, building practicals, repairing lighting fixtures, and have a basic understanding of lighting design. The Production Management intern reports to the Founding Artistic Director and is involved in all aspects of production management including: production planning, supporting production events, completing special research projects and assisting with contracting and financial tracking. Special requirements include strong administrative and organizational skills, experience with spreadsheets and word processing as well as the ability to work with a broad range of people and attend to numerous projects concurrently. Prior experience with technical theatre required, good writing and communication skills a must. The stage properties intern assists in all aspects of building and procuring props for the company’s main-stage productions and outreach projects. Basic construction skills are required; it is preferable that the intern have a car and be willing to drive to find and collect items for productions, etc. or can collect items in a timely fashion utilizing Metro and whatever other modes of transport are available to he/she. Previous experience in painting, graphics, upholstering, finish carpentry is preferred; a portfolio including examples of work is desired. The sound intern works with the Sound Department staff in providing technical and creative support. Internships are designed around the interests of qualified applicants and can include systems maintenance, installation and engineering; assisting with performance runs and changeovers; assisting designers and composers; and design opportunities with education and internship projects. Previous experience with sound engineering for non-musical theatre and examples of paperwork and recordings of designs and compositions are required for all design-interested applicants. Stage management interns work closely with Equity and non-Equity stage managers, assisting in all aspects of stage management, from pre-production preparation into rehearsal and through the run of the show as part of the running crew. Interns may have the opportunity to stage manage special events. Technical direction interns assist in drafting, budgeting and planning of each main stage production, attending all meetings to see the process from all angles. Interns should be working towards a BA or BFA degree or training in technical theatre, including skills in drafting, carpentry and metal work. Check out these stars of the stage from Arlington, VA. 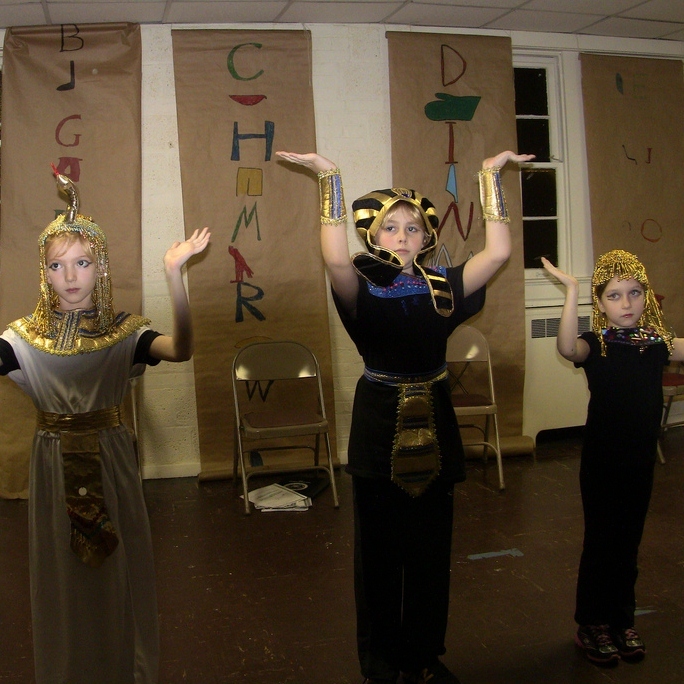 This season we learned about the cultures of Ancient Egypt and China!